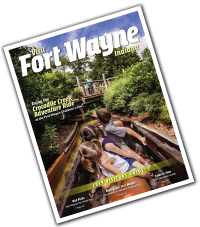 Located on The Summit campus just south of downtown, Fort Wayne Retreat Center is a perfect setting for staff retreats, youth mission trips, conferences, sports teams, family reunions, corporate meetings, parties, and more. With suite-style rooms that can accommodate up to 8 people per suite, the Retreat Center is a great place to connect while experiencing all the comfort of home. Each room is equipped with 2-3 beds with an adjoining common room, bathroom, and small kitchenette. Planning a large retreat or family event? Access the large common space with a full kitchen and seating for up to 50 people. No matter what your occasion, the team at the Fort Wayne Retreat center would love to partner with you in making it meaningful and successful.